A testament to the long standing nature of installation work. Access Automation Scotland had a customer who had been with them for many years who moved to a new premises. 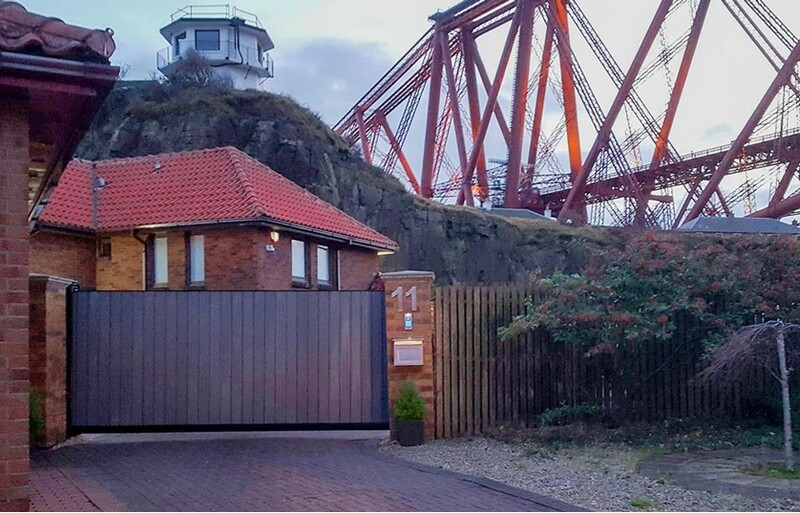 Due to the relationship they had built, they were asked to install a sliding gate automation system on their new residential property, a stunning location in the shadow of the Forth Bridge. 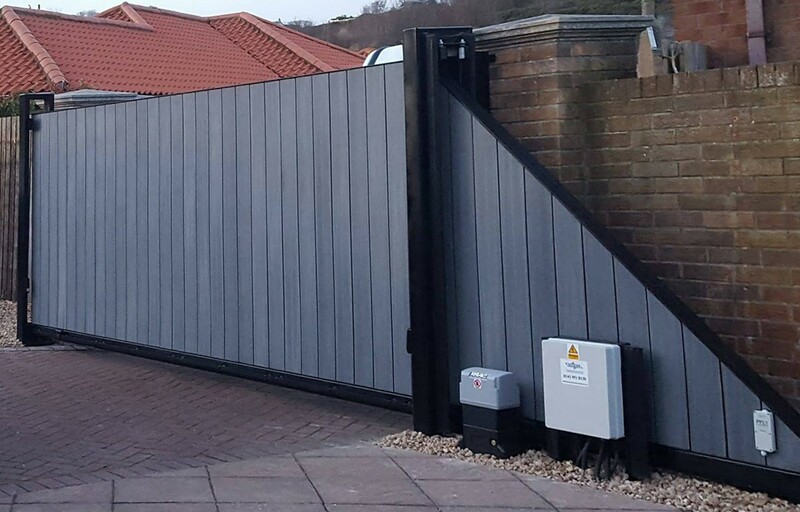 The steel framed, galvanised and powder coated gate itself was manufactured in the Access Automation Scotland workshop and delivered to site via their own lorry with a HIAB. They chose the FAAC 844 operator as it is a compact and powerful operator with configurable obstacle detection. It’s a highly flexible system as electronic equipment can be fitted internally or remotely and reliable with a long life due to the internal mechanical components being immersed in a constant oil bath. Access Automation Scotland were very familiar with this operator as they install on them on a regular basis which made for a smooth and speedy installation. Access through the gate is by a FAAC 868Mhz radio system using FAAC remotes working alongside a Telguard intercom unit with keypad for visitors. Andy McConville of Access Automation Scotland said “the 844 is easy to work with as it does what it says on the tin”. The customer was so impressed with the final installation he recommended Access Automation to his neighbour for their install work! So another FAAC system was installed, this time an underground electro-mechanical 770 system, again with intercom and a FAAC radio system. So multiple happy customers with multiple FAAC products! With more than 50 years experience, FAAC is a world leader in access control automation. The company has manufacturing and development facilities in Italy and Ireland and distributes products in more than 90 countries. FAAC (UK) is the market leader in residential and commercial markets which it serves through a national network of over 800 approved installers.